Do you have grass that needs to be cut? 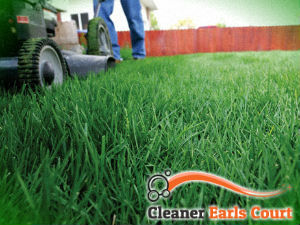 Is your lawn overgrown, or your garden has been neglected and needs mowing? Whenever you find yourself in need of a professional grass cutting service, you can call our company and hire our hard-working gardeners to do this chore for you. Our company is an experienced gardening services provider and we take pride in our grass cutting service – it is without a doubt the best one in Earls Court and we will prove it to you. What you can expect from our grass cutting service is perfectly cut grass and regular care. Our gardeners will make sure they cut your grass properly, with the right tools and the right height, so that there are no problems with your grass, such as drying. Our gardeners have rich experience with a wide variety of different gardens and lawns, from small to big commercial ones, and from even terrains to very steep ones, with differently positioned flower beds and decorations, and we assure you they can deal with any challenge. Give us a call when you decide to get help for your grass cutting needs. 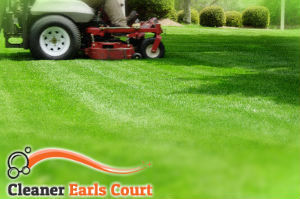 Here in Earls Court, SW5 our grass cutting service is known to be the best one, and we have helped thousands of people with their grass maintenance. Call us now and we will help you too.